The Ultimate Halloween in Arkansas! If you want a little bit of tricks and treats this Halloween, Arkansas is your place. Halloween is a hugely popular time of year, when you get to enjoy the thrill of being scared and fill your belly with all the greatest sweets. 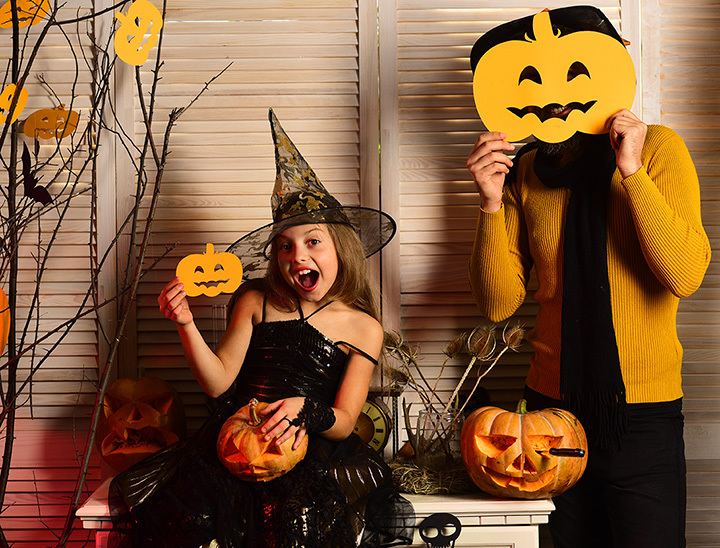 From candy stores to ghost tours, it’s time to put on your best costume and have the ultimate Halloween in Arkansas! If you’re ready to get zombified this Halloween, then head out to the annual Zombie Crawl in Eureka Springs. From fake blood and brains to hearses and doomsday vehicles, you’ll experience everything undead at this creepy crawly parade. This popular event is family-friendly and includes fun features like scary street performers, frightening Halloween floats, and much more. You can’t do Halloween the right way in Arkansas without a visit to America’s most famous haunted hotel, the Crescent Hotel in Eureka Springs. This 19th-century hotel is said to be haunted by the lingering spirits of the many “guests who check out but never leave.” Countless visitors claim they’ve witnessed these famous ghost sightings and many have taken personal snapshots as evidence of their encounters. As the second oldest cemetery in Arkansas, Mount Holly Cemetery is a must-see for the ultimate Halloween experience. Because of the numerous historically important Arkansans buried here, this place is often called the Westminster Abbey of Arkansas. Many believe this place to be alive with paranormal activity and phenomena such as mysterious flute playing, moving statues, and countless ghost sightings. Is it weird that I just love visiting cemeteries? Always have. Check out the Bentonville Community Center for a spooky good time this Halloween. This family-friendly event is hosted by Friends of Bentonville Parks and Recreation. Features of the Halloween Dance Party include a DJ and competition dancing, costume contest, and, of course, lots of candy! What’s Halloween without great costumes? Serving the River Valley and Northwest Arkansas with its locations in Conway, Fort Smith, and Rogers, the Party Place is one of the best spots in the state to meet all of your dress-up needs. The Party Place is not a seasonal shop and being open outside of the Halloween season is just one of the things that make it stand out. You can’t do Halloween without CANDY! Rocket Fizz Soda Pop and Candy Shop is one of the best places in Arkansas to fill up on those much-needed sweet treats, not just at Halloween but throughout the whole year. This family-friendly event invites you to take on this haunted trail in Woolly Hollow State Park. You’ll encounter otherworldly sights like ghosts and ghouls on your journey to the sticking post, where survivors proudly post their courage. This annual event at White Oak Lake State Park is great for the whole family. Halloween in the Park features a haunted hike and trick-or-treating throughout the campground for children ages 12 and under. Boo on the Bayou is located at the Delta Rivers Center inside Pine Bluff’s Regional Park. This annual event is free to the public and features activities like face painting, games, crafts, and animal programs. Those seeking something scary are invited to try out the half-mile Haunted Trail. Visitors are encouraged to come in costume. Get your costume on and come join the Jacksonville community for a great night of Halloween celebration. The Halloween Bash & Costume Party at the Grand Event Center is adults 21 and over.